Benjamin is a top-rated oncologist. Mark practices family law. James is Mark’s twin and Benjamin’s patient. Sparks fly when Benjamin and Mark meet, but their attraction is impeded by their concern for professionalism. Yet Benjamin can’t deny his overwhelming desire to be one of the things that Mark cares for so selflessly. And Mark is intrigued by the needy heart beneath Benjamin’s aloof exterior. When James goes into remission, Mark and Benjamin give in to their passions. But then James’ cancer returns, and Mark’s firm takes out a malpractice suit. The lover’s happiness is fractured by professional obligations, the loss of a career and identity, and brotherly grief. What holds love together when everything you are crumbles from under your feet? Copies of the script are available to interested professionals upon request. Contact me here. It’s no secret that I love fandom. I cosplay. I read and write fanfiction. I go to premieres. I attend conventions. I even used to draw fan art. And one of the most famous and well written fanfictions in Sherlock fandom is MadLori/Lori Summers’ novel-length masterpiece Performance In A Leading Role. Sherlock Holmes is an Oscar winner in the midst of a career slump. John Watson is an Everyman actor trapped in the rom-com ghetto. When they are cast as a gay couple in a new independent drama, will they surprise each other? Will their on-screen romance make its way into the real world? In “Performance”, the film they are working on is titled “To A Stranger”, written by Molly Hooper. She wrote the character Benjamin specifically for Sherlock Holmes to play, and in the fic the film is both set and shot in Toronto. Much of the first half of the story takes place in some of the city’s most interesting and iconic areas. In the fic, Lori never fully explained the plot of the film. She gave a short summary of what it’s about, and explained what some of the clips looked like. But in terms of narrative, structure, and even tone she was pretty sparse. We got little of the character’s dialogue, though more of their motivations through John and Sherlock’s descriptions of how they planned to play the scenes. Thus, I’ve always been fascinated with what the film might actually look like – actually read like – if it were real. I thought about it a lot. Mostly because at the time it was being serialized I was working in the film scene in Toronto. Based on the level of knowledge and detail in the “Performance”, I was convinced that Mad Lori must be in the scene, too. So much so that I messaged her to ask if she was. She was not. But that means she’s an even more fantastic writer than I had originally thought. She fooled me, and I actually do the job she was writing about. Amazing. While I was relating my tale of contacting Mad Lori to Penumbra and her Livestream audience, I mentioned that if I’d love to write the “To A Stranger” screenplay as a fic one day. So I decided to do the thing. I had an interesting time scrolling through the fic, looking for each reference to what happened in the film and trying to construct a cohesive plot out of the mentioned-but-never-shown clips and pieces, but totally worth it. With that done, I played Jenga with the moments and put together a plot-breakdown/beat-sheet. When I started this script, of course, I didn’t know that Lori had asked people NOT to write it. When I finished the first act, I went searching for some extra information about the story, and saw in Lori’s FAQs that she had asked people not to do the thing. Uh-oh. My heart sank. I was really invested in this. I got in contact with her to apologize, to show her what I’d written so far, and to ask if I could continue. She said yes. Lori is very gracious, and very honest, which I really respect about her. She gave me some excellent notes, which really helped the screenplay develop into something more than a simple rehashing of a typical angsty meet-cute. The story is much stronger for it. Thanks for that, Lori; thank you for being generous and so thoughtful with your notes. After the screenplay was completed, it was posted to Archive of Our Own in a version that included too much description and motivational cues in the action sections for a standard screenplay. I did not only my job as a screenwriter, but also the director and actor’s, which you are not supposed to do. I did this because this screenplay will never be a screenplay. These motivations and internalized feelings will never been seen to be played out by the actors John Watson or Sherlock Holmes. You will never see emotions conveyed in a look, or the way the camera lingers on an important moment. This is a screenplay that will always only be read. I appreciated the readers forgiving my little writerly indulgence. 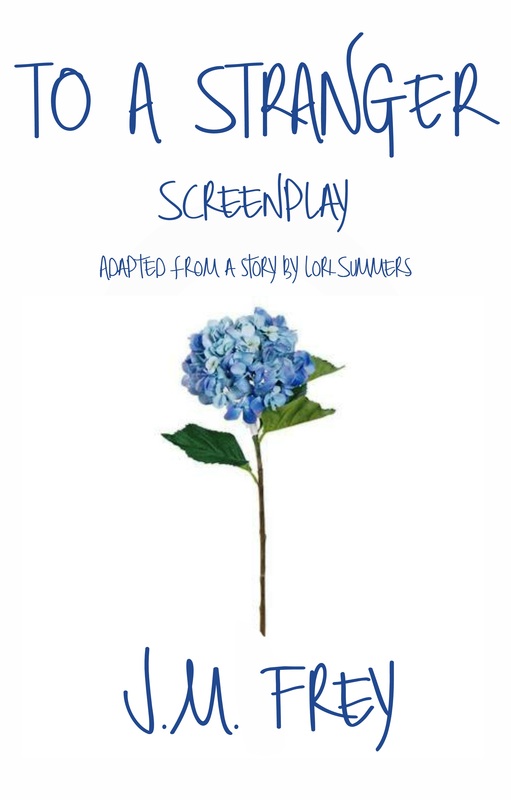 However, the feedback was encouraging enough, and Lori’s pride motivating enough, that with Lori’s blessing, I decided to tighten up the screenplay and submit it to some screenplay competitions and film festivals. I figured – it’s a great little story and I’m very proud of the work I’ve done on it. Why not share it around a little? The worst that could happen is that it doesn’t get selected. Well, I’m very pleased to say, now, that “the worst” has not, in fact happened! 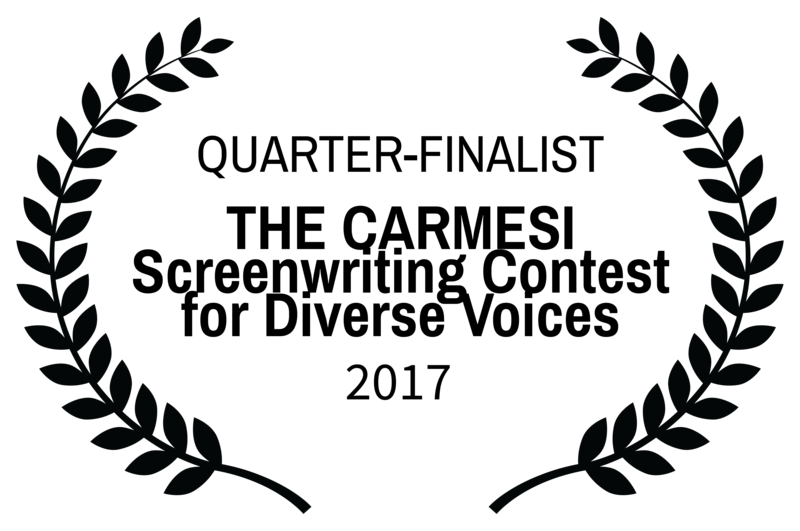 As of my writing this, “To A Stranger” has been named an Official Selection for the NEU WORLD INTERNATIONAL FILM FESTIVAL, named an Official Selection and received an honourable mention with the DEPTH OF FIELD INTERNATIONAL FILM FESTIVAL, and was an official Quarter-Finalist for the CARMESI HOUSE INTERNATIONAL SCREENWRITING CONTEST FOR DIVERSE VOICES. I was also named the “Rising Star” in the screenwriting competition with the CANADA INTERNATIONAL FILM FESTIVAL. This has been an exhilarating, interesting, and educational ride. Thanks for taking it with me. I can’t wait to see what happens next! I want to thank Penumbra for her support and beta-reading with this story. I also want to thank Leigh Nunan, an actual trained Script Editor, for working with me to catch the errors and making certain that what I wrote was actually a functioning screenplay. Of course I want to thank Mad Lori for writing “Performance In A Leading Role,” the amazing epic-length fanfiction upon which this screenplay is based and from which it was born.